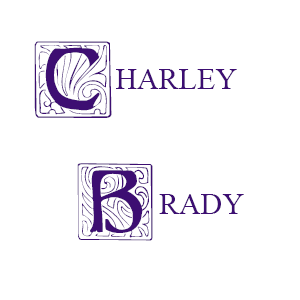 Back Door Joanie and Other People with Big Brains - Charley Brady - Opinons; My Own. I know that I’ve harped on at length in various publications about this, but I really don’t feel that I can emphasise it enough: keep your own notes on who is saying what (and when!) as this continuing Irish Water fiasco rolls on. Mary Harney once famously said that voters have short memories and of course you need only look at the chancers who reappear time and again to know that she’s right, so this time make sure that you never make the same mistake again. Most of them have sat on the fence waiting to see how this would fare out. Some are off it at last, backsides hurting now that they see the protestors represent the winning side. I’m not interested in them; I’m not interested in the Mary Lou’s and the Adams’s who did a U-turn last week. I’m disappointed in McDonalds’ case, but that’s politics. I’ve rarely met any of them who haven’t ultimately let me down. I’m more interested in the Hogan’s and the Noonan’s who just continue to speak down to us as if we are going to go away. They think that our defiance is an aberration – and in fact they’re right about that, because we haven’t been very good at defiance so far—but the more that they dismiss us this time, the less that we will compromise. As far as I’m concerned now, no compromise is possible. I’m sorry, I don’t get that. Has Christmas been declared a holiday that only the wealthy elite like Nora and her friends are allowed to celebrate? Are the rest of us supposed to huddle around a single flame and give our blessings that austerity has made the world admire us (and what a crock that is!)? Are we supposed to have handed over any spare cash we have to the government rather than give our families a fraction of the Christmas that Nora and her well-heeled friends will have? It’s just another of those strange utterances, like Joan Burton and the expensive phones, that points out to us just how disconnected they are from the struggling person in the street. Talking of Tánaiste Joan Burton, she was in Galway this week, sneaking in through the back door of the House Hotel, for all the world like a skulking criminal. Well, maybe when she’s away from the company of her fellow politicians that’s the way that she really thinks of herself. Perhaps deep down where she lives she is ashamed that she is supporting proposals which are corrupt and immoral. Either way, it really has come to something when a public representative can’t face the voters but instead slime their way in through the tradesman’s entrance. [Of course, an excellent Late Late Show two weeks back let us see- as if we needed any convincing—how cowardly this government is. There was a major presence needed on that panel to represent the government side. Dare I say it, but perhaps Enda Kenny himself could have come out of his bunker. No; who did they send? Big, likeable-seeming Andrew Doyle, TD for Wicklow and East Carlow. Talk about being on a hiding to nothing. No wonder he was personally congratulated at the next parliamentary meeting by Kenny and given a round of applause by a group of sweating politicians who were murmuring Thank Christ he didn’t send me! Mind you, anything to do with Back Door Joanie is confusing at the moment. She reckons that a family of four will run up less than €200 a year in water charges. Also, that herself and Enda Kenny are ‘on the same page’. That had Kenny letting out a yelp! Jesus wept; he’s in enough trouble as it is. Joan is only speaking ‘in a personal capacity’, he says. ‘In a personal capacity’? In the Dail chambers? On the record? That’s a new one even for the Make It Up As We Go Along Brigade! You know the answer to those creeps who I’ve been hearing so much about (and I’m sure it’s not only Galway by a long way): keep a list of them, don’t forget about them- as they count on you doing– and have your answer ready when they come slithering around your doorstep some time in the very near future!